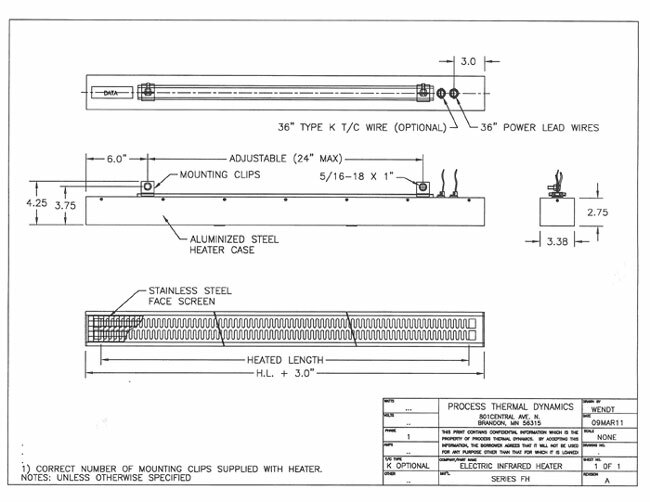 PROTHERM, LLC™ Series FH Heaters are efficient. 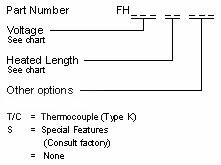 Medium wavelength infrared strip heaters designed for general industrial heating application. Installed efficiencies exceeding 85% have been proven, reducing energy costs and increasing processing speeds. Length = H.L. 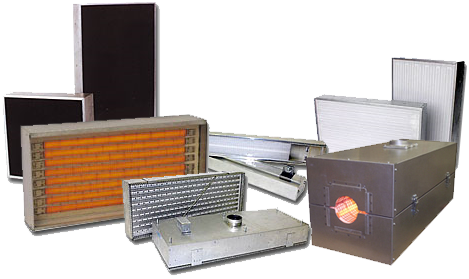 + 3.0"
Click here to view General Instructions and Warnings on the Series FH Infrared Heaters.